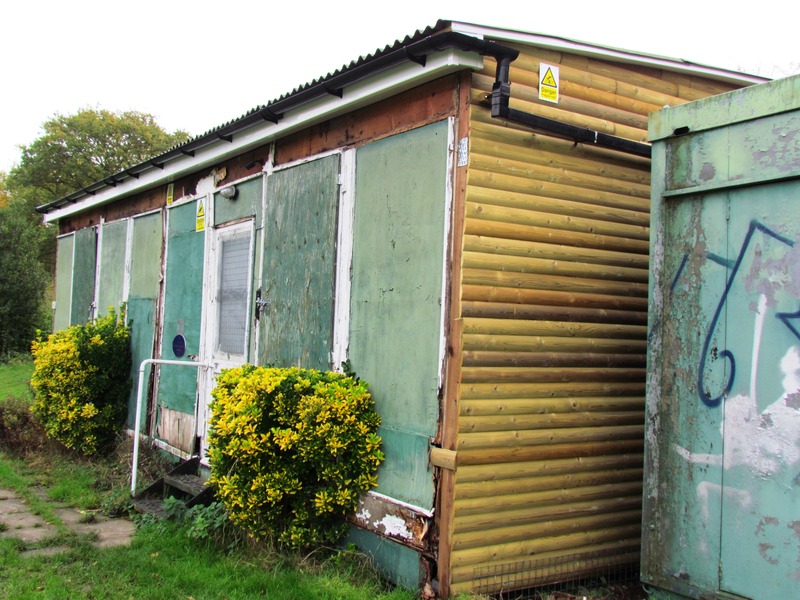 Working with existing Harrow Allotment Site Representatives, we have put together a document that should prove valuable to all allotmenteers in Harrow, especially current Site Representatives or those considering becoming Site Representatives. Site Representatives are all volunteers and do an excellent job in the running of an allotment site. Our document provides details of what, in our view, a new allotment site representative should be doing. 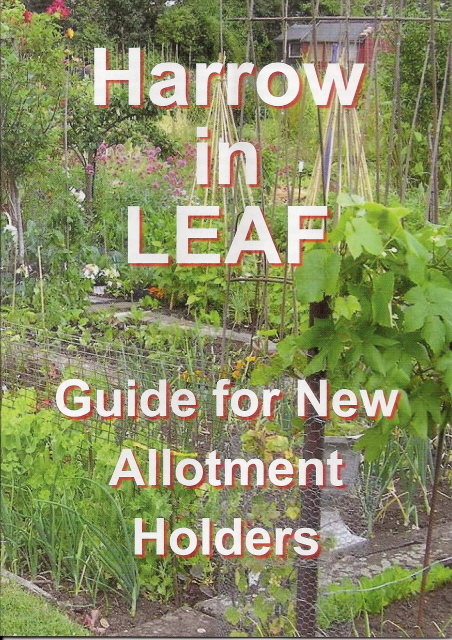 ==> Click Here... to go to our Allotments Guideline page to view the "Role of Allotment Site Representatives"
Come to our Show Website The Harrow in LEAF Horticultural & Craft Show in conjunction with the Harrow Beekeepers will be taking place on the August Bank Holiday Monday 26th from noon to 5.00pm. 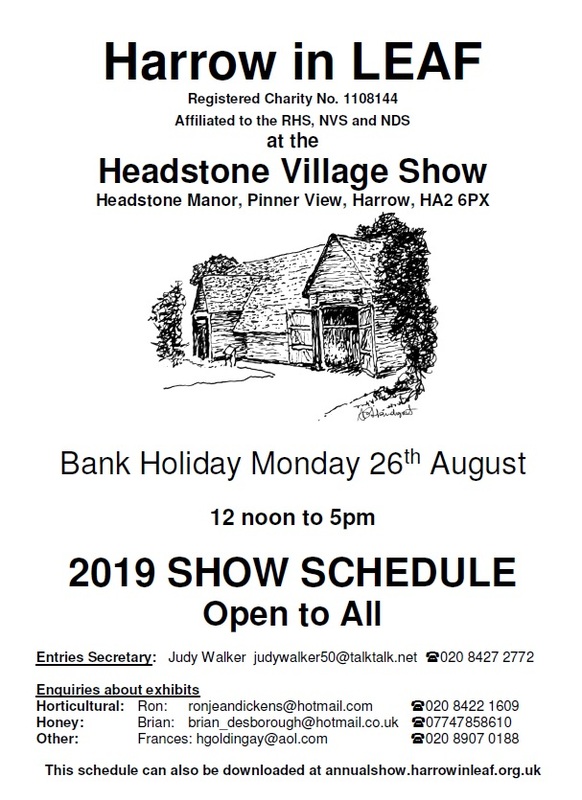 Our Show is an integral part of The Headstone Village Show held at the Headstone Manor and Museum. Our 2019 Show Schedule Committee are now in the process of planning the logistics of the show together with a new management team at the Headstone grounds. We currently know that the entry prices are expected to remain as for the 2018 show. A change at Harrow in LEAF for 2019/20...Individual Membership rises to £2.50p p.a. Keep on top of those gardens! Since the creation of Harrow in LEAF in 1998 the price of an Individual Membership has remained unchanged at £2.00p per annum. We have listened to our members who have regularly told us "it is just not enough". In 2018 at our AGM in May our members voted unanimously to increase the Annual Membership to £2.50p per annum from 2019/20 onwards. We thank all our members for their continued support over the years and in years to come. Remember it is time to keep on top of those gardens or allotments and hold back unwanted weeds, shrubs and trees which will take over if you let them. As is clearly demonstrated above, in this recent photo of a house on Rayners Lane. Greening Grey Britain 2019 an RHS initiative to brighten up our towns and planet. The RHS is offering a number of community groups expert hands-on support, plus up to £500 worth of plants and materials to help transform neglected spaces in Harrow and beyond. To be eligible, you should be taking part in Britain in Bloom, It's Your Neighbourhood, RHS Campaign for School Gardening, or be a registered RHS Affiliated Society. Apply with an intergenerational project idea, which would benefit wildlife, the planet or human wellbeing, before 28th February 2019. You can now visit new Hardy Plant Society - Middlesex Group website which was recently launched. Here you will find details about their events for 2019 such as Public Plant Sales, Trips and their Programme of Speakers for 2019. Thank you for making our Quiz Night a fun evening on returning to our HQ Cabin. The Harrow in LEAF Quiz Night with Fish and Chip Supper (or Chicken or Veggie Burger) made a triumphant return to our newly renovated HQ Cabin. No leaky roof in site, well no rain actually. The evening was attended by many of our members, Affiliated Societies and guest quizzers. Our regular question master Terence Frisch hosted the evening splendidly and the questions he set us were most interesting and varied. Many enjoyed the music intros round delivered using the art of vinyl. Our Quiz is a General Knowledge quiz and so do not worry about having to know about horticulture or Latin names of plants. This Quiz is for all. The winning team were "The Rafflers" who claimed that they were able to win as yours truly was sent away to gather the evening's food from our local chippie!!! 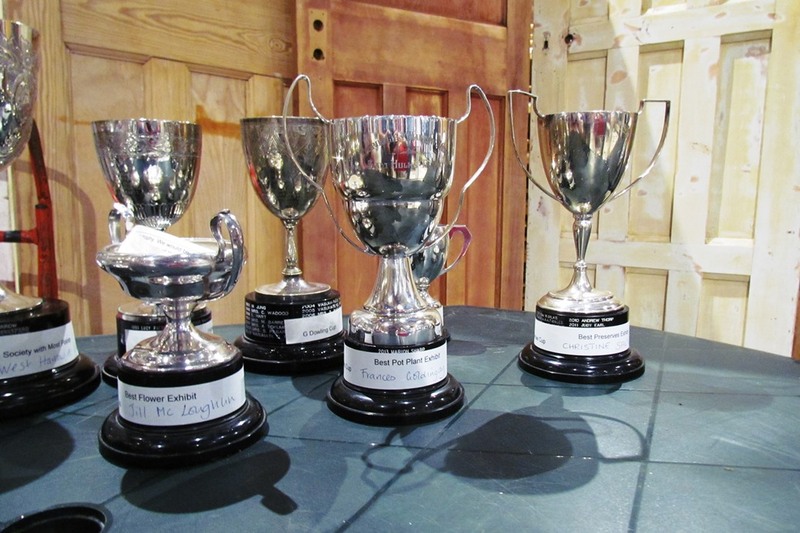 Now we are back quizzing at our HQ we hope to see more of you next year. Next year's 15th Horticultural & Craft Show will be coming next year on August Bank Holiday Monday 2019. Look out for news on our website around March 2019 when we issue the exhibition classes for you to choose from. Better still, join Harrow in LEAF today and get advance warning of publication of our Show Schedule 2019. 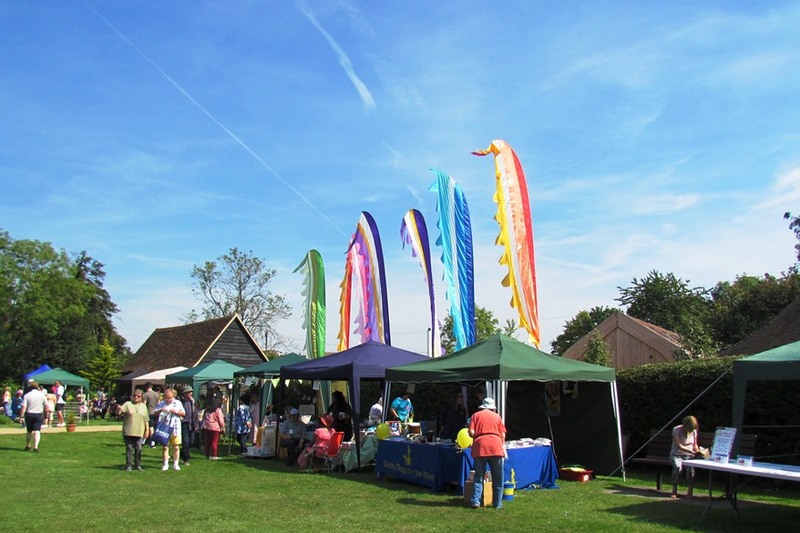 A big welcome to the Harrow National Trust Association who joined our Harrow in LEAF community at our 14th Annual Show on Bank Holiday Monday 27th August 2018. Harrow National Trust Association was founded in 1989 as an association of members & volunteers of the National Trust drawn together to further their common interest in the preservation of the country's rich inheritance. Their objectives are to promote the work of the National Trust locally, raise funds in its support and to enrich members' understanding of its work. The Association organise a variety of activities for members which include evening/afternoon talks, outings and many more events. Another successful Horticultural & Craft Show this year enjoyed by our exhibitors, volunteers and visitors. 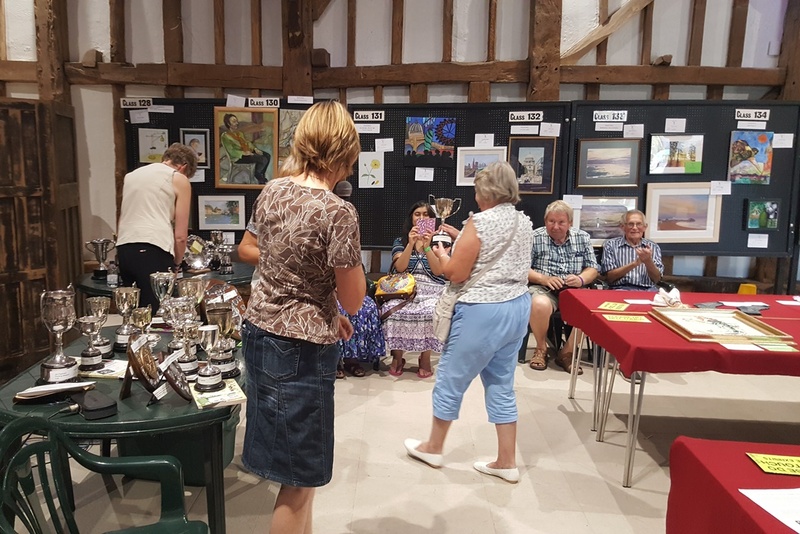 Thanks to everyone who made this year's Headstone Village Show incorporating Harrow in LEAF's 14th Show such a successful event, and thanks for those who came over to our Membership table in the Great Barn and rejoined or became new members. Together - We Make LEAF Happen! Despite the freeze of "The Beast from the East" earlier in the year and the unusual heat and dryness of recent months our Harrow growers, gardeners and allotmenteers were able to enter a remarkable amount of produce. The heavy rains came on the Sunday before the show, washing out many events nationwide, but avoided Bank Holiday Monday. We suspect large numbers of families and visitors were stuck indoors on Sunday and so it was a relief to get out and visit our Show. Thanks to Harrow Museum & Headstone Manor for hosting this event again, and what a job they have done with this treasure of a location that belongs to us Harrow residents. Please take time to go and visit the newly restored moated Manor House and grounds, open again. It is beautiful. Use it or lose it! 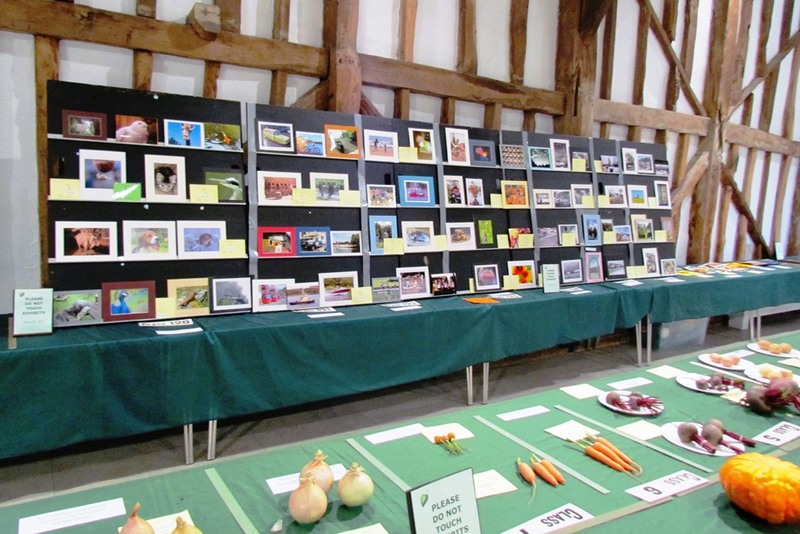 So, are you all fired up to enter an Exhibit in next year's 15th Horticultural & Craft Show? Then look out for news on our website around March 2019 when we issue the exhibition classes for you to choose from. Better still, join Harrow in LEAF today and get advance warning of publication of our Show Schedule 2019. 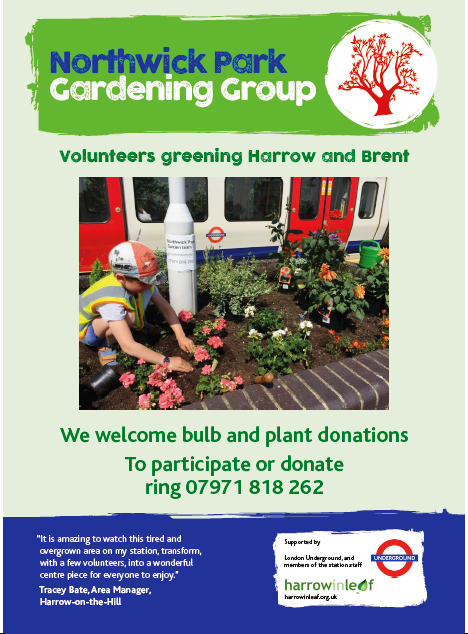 Harrow in LEAF hosted the Royal Horticultural Society on June 23rd, from 2.30pm to 4.30pm. Admission was FREE. On the afternoon of June 23rd, 2018 we welcomed 6 volunteers from the Royal Horticultural Society to deliver an "Ask the Experts" Event between 2.30pm to 4.30pm. We were expecting 4 or maybe 5 fruit and vegetable experts from the RHS to give a short talk on allotments followed by a Q&A session, but we got 6. A glut! 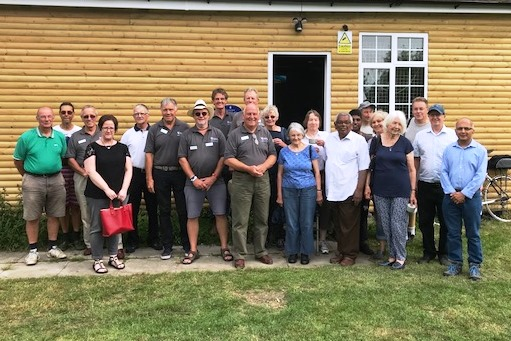 Over 40 Harrow in LEAF members and supporters were both entertained and educated via talks, Q&A's and walks around the West Harrow large allotment site. As usual, to make LEAF happen we include presenters, attendees and our own wonderful volunteers - thank you to all. We hope every enjoyed this inaugural event in our newly refurbished HQ hut (a work in continual progress!). Look out for more info. and photos of this event - coming soon. Great News! 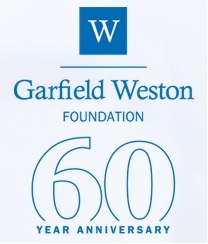 Harrow in LEAF awarded a grant of £2,500 by the Trustees of the Garfield Weston Foundation to help renovate our green Headquarters. "Thank you for your recent application. I am pleased to inform you that the Trustees have reviewed your application and are delighted to make a grant of £2,500 to your organisation. 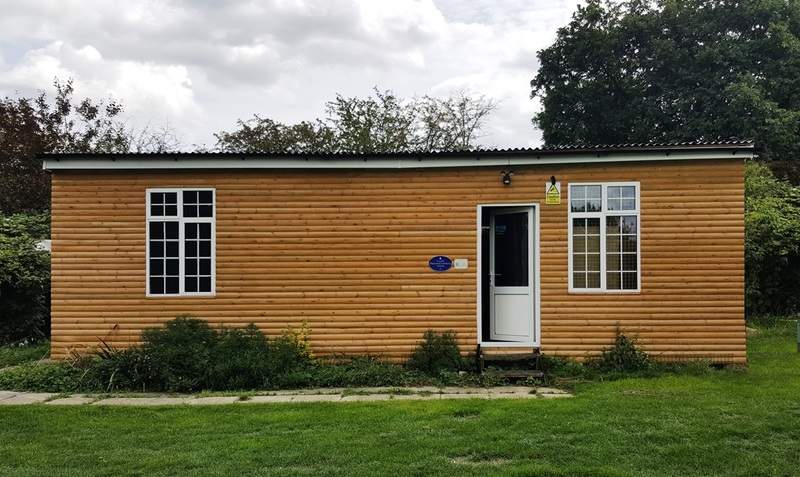 The grant is sent with the best wishes of the Weston family"
The Harrow in LEAF Management Committee were delighted, to say the least, to hear that the Garfield Weston Foundation had accepted our application to enable us to make good our HQ Hut which has morphed into our HQ Cabin. With our limited funds and resources our HQ was slowly being overcome by Mother Nature. This grant will allow us to make the necessary repairs to enable it to become the centre of our own social & fund raising activities again. 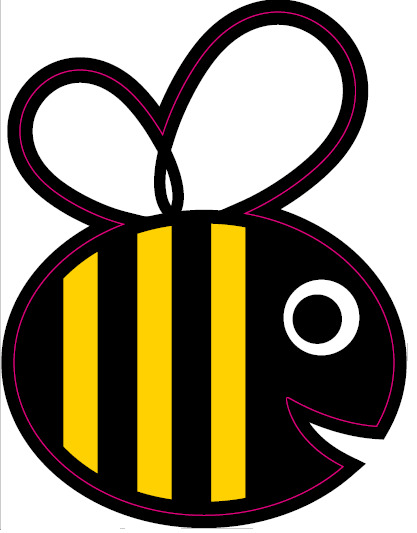 Committee Meetings, Annual Show planning events, Plant Sales, pop-up cafes, Quiz Nights and BBQs. The Harrow in LEAF Management Committee also extend great thanks to our Vice-Chair, Jill Mcloughlin, for stepping forward and taking over the grant application process. We appreciate that she has put in many hours of application form filling, form amending and letter writing. We are pleased that Jill's voluntary hours and efforts have resulted in this positive gift from the Weston family, to enable us to continue making Harrow greener. Harrow Fuchsia Society make donation of £100 to Harrow in LEAF, following sad decision to disband taken at their AGM on 25th January 2018 . 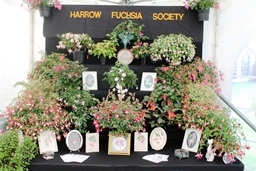 Harrow Fuchsia Society, formed in the 70's, have supported us from our very beginning in 1998 and participated in our Plant Sales and Annual Shows. 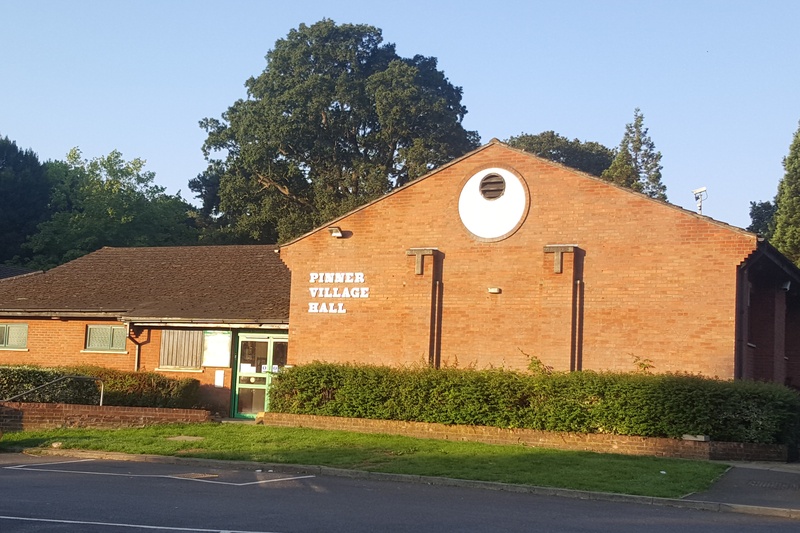 We are sorry to hear that they have decided to disband, and say thanks to Peter Luff (Chairman) and the Committee of Harrow Fuchsia Society for their year's of support and their kind donation. 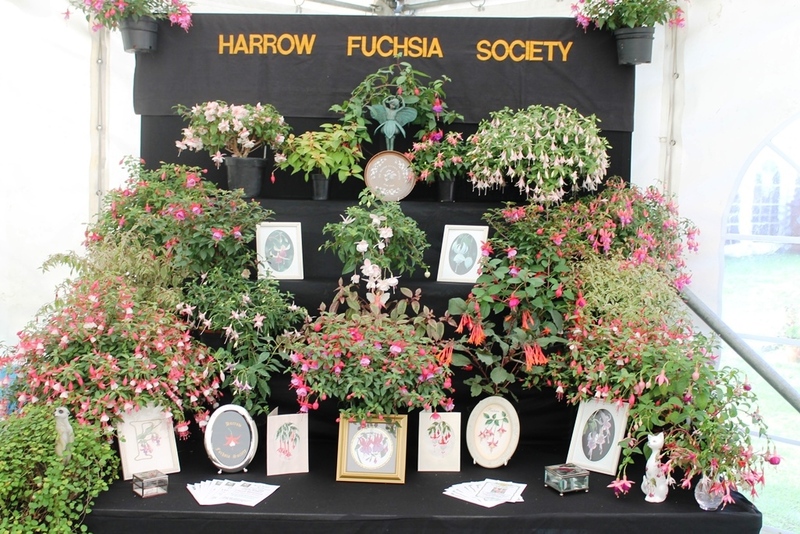 As a result of this news, the Harrow in LEAF Show Committee has taken the decision to increase the number of Fuchsia Exhibition Classes in our Annual Horticultural and Craft Show. We shall be liaising closely with Harrow's Fuchsia growers on this matter. 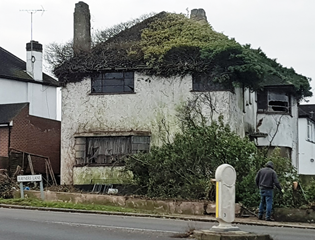 "It was decided, as a token of appreciation of the Harrow in LEAF organisation to donate £100.00 to it's funds from our residual assets, to help keep the horticultural interests in Harrow alive! With all Best Wishes, Peter V. Luff, ex-Chairman"
The Friends of Pinner Village Gardens to host Race Night on Friday 2nd March 2018 at 7.30pm in the Pinner Arms, Whittington Way. For more details contact Antonia via email on antonia.savvides@sky.com, or click here to visit their website. Harrow in LEAF announce May 12th 2018 as the date for their BIG Annual Plant Sale. Hardy Plant Society Middlesex Group will present "Passionate about Plants 2018" their biennial all-day Saturday event on Saturday 14th April 2018. 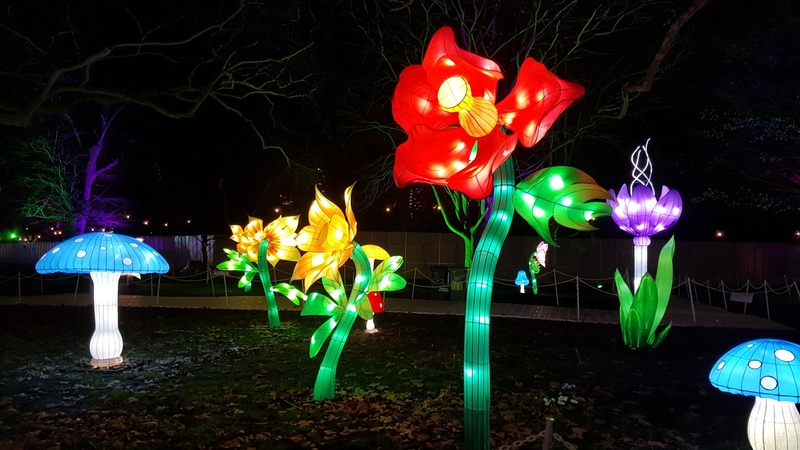 Eurostar to Amsterdam, one night in Amsterdam and a visit to the world famous flower festival. 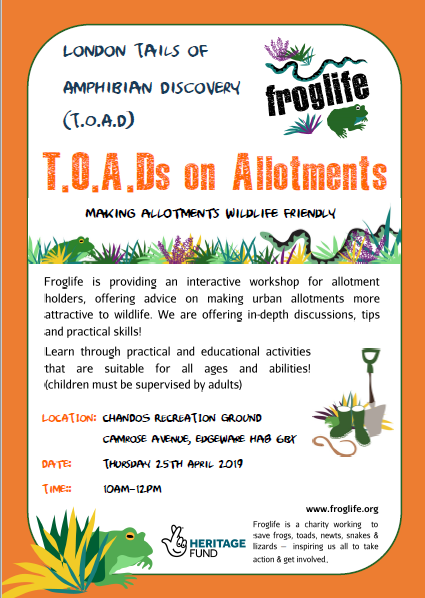 Froglife is providing an interactive workshop for allotment holders, offering advice on how to make urban allotments more attractive to wildlife. 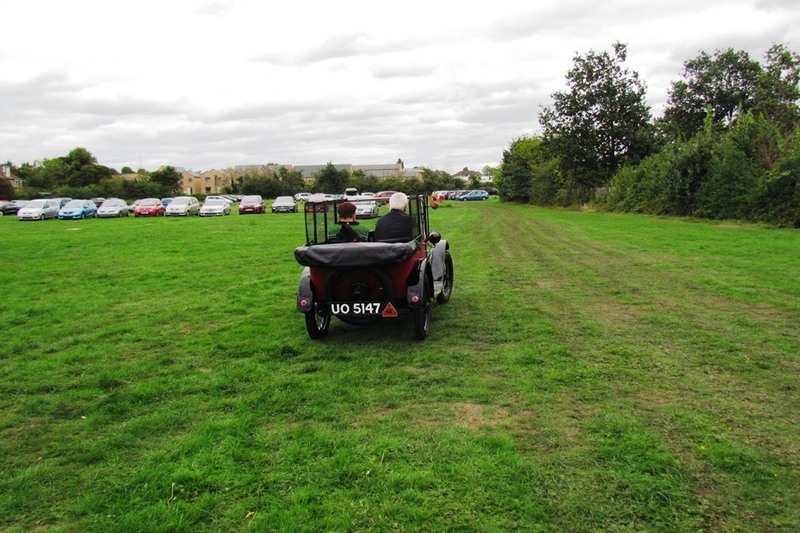 Suitable for all ages but children must be supervised by adults. What to do on your allotment or in your garden at this time. Your ideas on what to do with all that allotment or garden food produce! Yes, our excellent Guide is now available via the "Allotment Guidelines" button on the top Menu above - or just click on this front page image.